Catering food - delicious gourmet meals from fish the finishing touches by the chef indoor in luxury restaurant, ready for service to the customer. 4K (UHD). 4k00:13Catering event. Catering company preparing large numbers of food. Chefs place on a plate a piece of fish, potatoes and garnish. 4K (UHD). 4k00:15Chef's assistants helping with gourmet menu for a wedding occasion. Catering. exquisite serving dinner. a lot of white plates with vegetables, potatoes and fish. 4K (UHD). 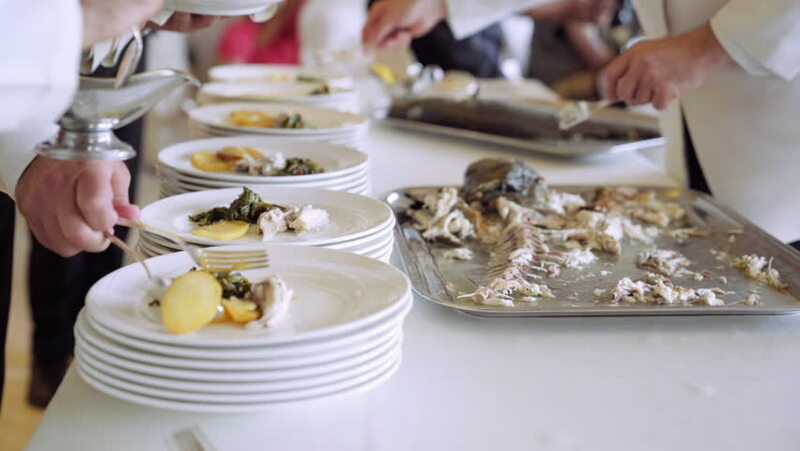 4k00:11Professional chefs in a restaurant preparing large numbers of food fish with potato. Dinner in a restaurant. Seafood. Serving table. Healthy food. Catering service. 4K (UHD).